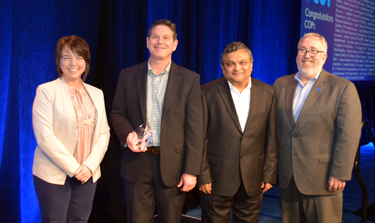 IAOP’s GEO Award recognizes buy-side teams at customer organizations that are leading the effort to make their companies more successful through outsourcing and collaborative relationships. 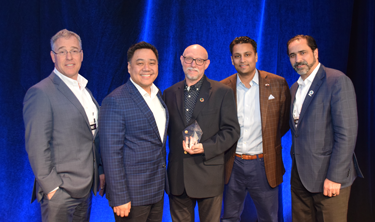 The award recognizes the leadership teams as pioneers and through their stories, which helps to advance the professional and industry. The GEO Award for Innovative Practices in Creating Value from Collaborative Relationships recognizes a customer company’s team for using innovation to create value for the business through design and implementation of a collaborative relationship that (1) is responsible for measurable, strategic business outcomes such as growth, sustainability, competitive advantage, market insights, addressing new or unfulfilled needs; (2) represents true innovation, originality or creativity; and (3) is worthy of special attention from the industry due to the ability for others to learn from it, or for its repeatability. Applicants will be asked to clearly explain value created, the innovation, and how the collaboration enabled the value creation. The application process for the 2020 GEO Award will reopen this summer.